What is Weed Eaters (String Trimmers)? String trimmers are a device used for trimming grass and other foliage. String trimmers are commonly referred to by the brand name of Weed Eater, which was the original string trimmer product. The Weed Eater was created in 1972 to make grass trimming safer and more convenient for people. Since then, multiple brands and styles of string trimmers have emerged. Bladed trimmers are a category of grass-trimming devices. They are similar to string trimmers except that they use blades instead of monofilament line to cut grass. They come in a variety of designs depending on the density of the foliage to be cut and the precision needed. String trimmers use a monofilament line usually made from types of nylon. The line is attached to the cutting head, and it spins at several hundred miles per hour to cut plants. The line comes in varying thickness depending on the difficulty of the trimming job. Bladed trimmers work nearly the same as a string trimmer, except there are blades on the cutting head. Plastic blades can be used for thin foliage cover, but as the foliage becomes denser, metal blades will likely need to be used instead. String trimmers can be gas-powered or electric-powered. Gas-powered trimmers can have a 2-cycle engine or a 4-cycle engine, with the latter being more powerful but also heavier, louder, and more expensive. Electric string trimmers either have a cord or a battery. Like string trimmers, bladed trimmers can have a gas-oil engine, a cord, or a battery as a power source. String trimmers are mostly commonly design as an engine attached to a long pole with the cutting devices and strings on the very end. They are held two-handed slightly above the ground to keep the strings from hitting dirt. Bladed trimmers can come in varying designs. Some bladed trimmers are nearly identical to string trimmers, except that the cutting instrument is blades instead of monofilament. Edgers and brush cutters are other common forms of bladed trimmers. Both devices usually have two wheels at the bottom of the shaft where the blades are; this allows the user to roll the blades precisely where the foliage is. Edger blades are typically vertical, as they are used for cutting grass along the edge of a walkway or driveway. Brush cutter blades may be horizontal instead to cut tough foliage in a larger area – like a smaller, more accurate lawnmower. String trimmers are especially useful for trimming around trees, rocks, and other objects that should not be hit by a blade. The Weed Eater brand was initially created so that the grass around trees could be cut without harming the bark of the tree. String trimmers can be used to cut an entire lawn but are more efficient for trimming areas where a lawnmower is too big to fit. Bladed trimmers are primarily used for very dense shrubbery and for edging around concrete or stone. If the blades are vertical, as on an edger, then they should be used for trimming directly next to concrete to make a narrow and accurate cut. If the blades are horizontal, as on a brush cutter, then they should be used for clearing larger areas of underbrush. The monofilament line on string trimmers tends to wear down quickly. This is because the line is being hit against objects at high speed, causing tearing. Spools of line can be bought at hardware stores to replace the current line when it begins to fray. Metal blades are naturally more durable than line or plastic blades. However, if the blades are hit against concrete or stone often, the metal may chip (and a plastic blade may break entirely). Metal blades can be sharpened but should be replaced if cracks or chips are visible. 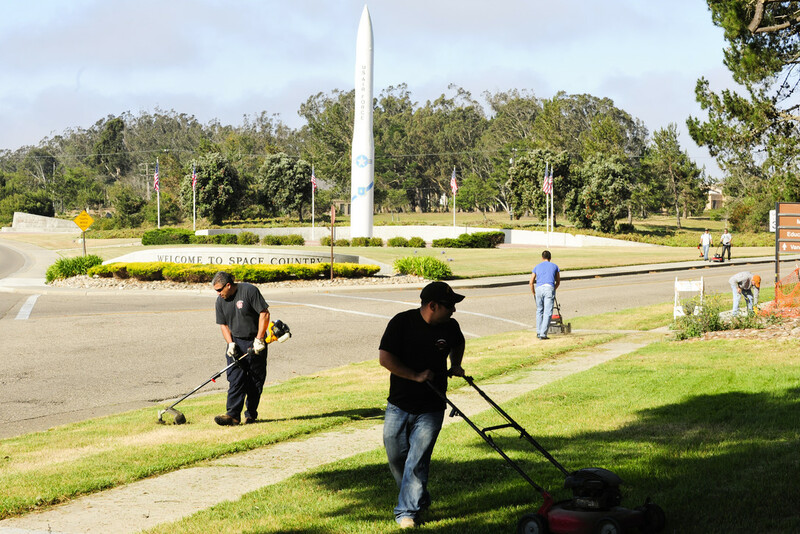 Weed Eaters and bladed trimmers are both lawn care devices used to cut foliage in areas requiring precision. Their primary difference is in the cutting device used. String trimmers use a monofilament line rotated at high speed to cut through grass. Bladed trimmers use plastic or metal blades instead. 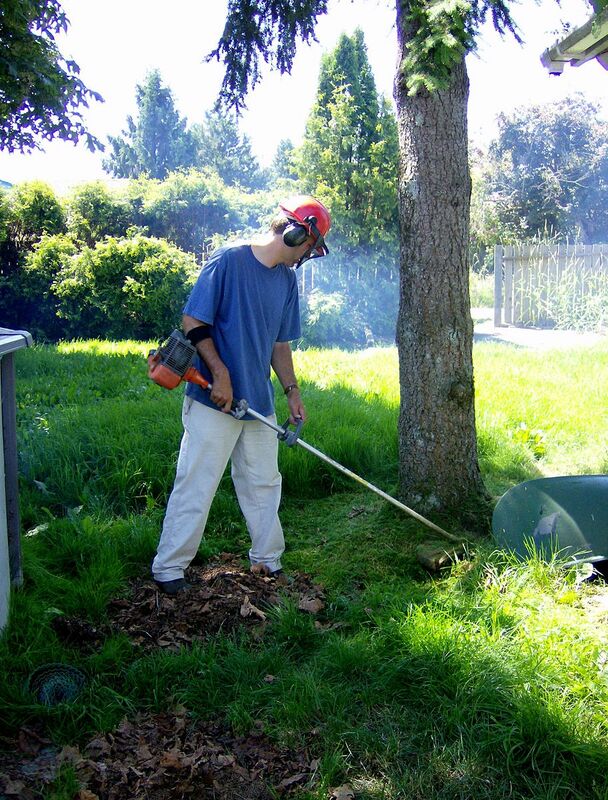 String trimmers are safer than bladed trimmers for cutting around trees and rocks. Bladed trimmers are better for edging along concrete or for cutting through especially dense undergrowth. A bladed trimmer will typically outperform a string trimmer, but isn’t as safe to use around trees, roots, and rocks. String trimmers are usually handheld, while bladed trimmers are handheld or wheeled. Both devices can either be gas- or electric-powered. Kelsey Robarts. 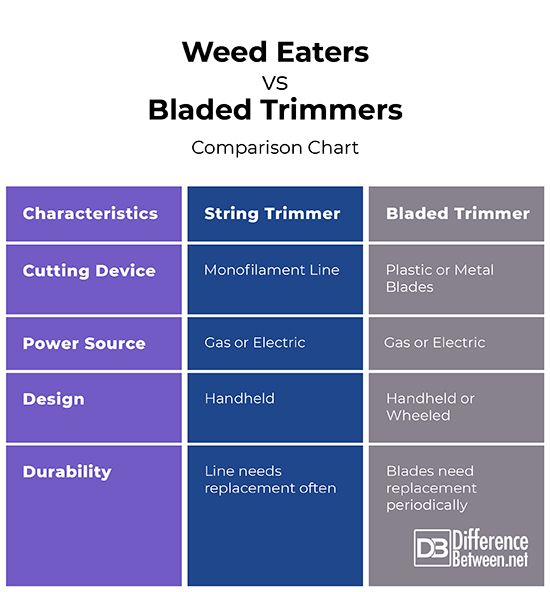 "Differences Between Weed Eaters and Bladed Trimmers." DifferenceBetween.net. January 29, 2019 < http://www.differencebetween.net/object/differences-between-weed-eaters-and-bladed-trimmers/ >.